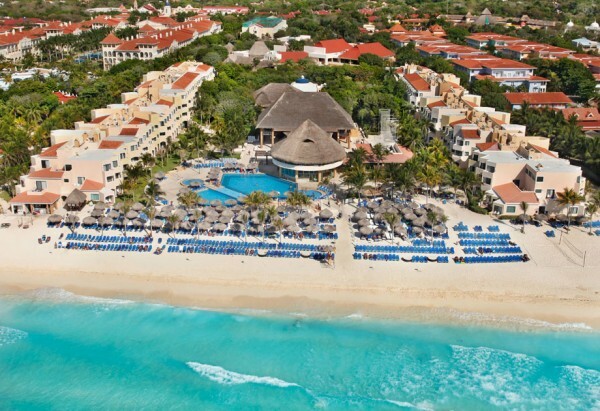 Up north it takes a while for spring to come around, let alone summer, but down in Mexico you can be sure the sun is already warm, so perhaps you should be thinking about a little trip down Mexico way, for example to one of the excellent Playa del Carmen all inclusive resorts. Playa del Carmen, or ‘Playa’ for short, lies on the eastern coast of the Yucatán Peninsula in southern Mexico. Playa is what the Spanish and Latin Americans call a balneario resort. This used to mean the town or city was based around a natural spa of some kind, but the term has been extended to cover any resort type town or city, whether incorporating a spa, or just by the sea, a lake, or a river. 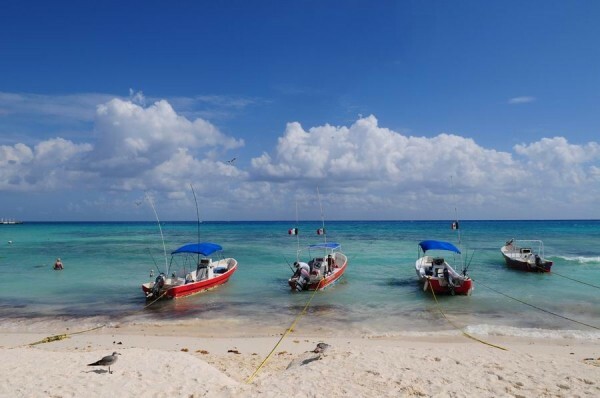 Playa del Carmen was originally a fishing port but tourism began to develop when the town became known as the embarkation point for the ferry to the island of Cozumel. Nowadays Playa is a popular tourist spot in its own right, favored by both diving enthusiasts and general vacationers and trippers. The town, which forms part of the Riviera Maya tourist zone that stretches for miles along the coastal Highway 307, is known for its lively seafront, where there are a large number of characterful local restaurants and small hotels. A more modern development has seen the establishment of some excellent all inclusive luxury family resorts on the shore. One such establishment is the Viva Wyndham Azteca Resort. Situated right by the ocean, only two or three miles from the center of town, the Azteca is also conveniently near to the Playacar Golf Club. The Azteca has an all included policy, in which the daily rate covers accommodation, food and drink, and also evening entertainment. Guest rooms have a balcony and are fitted with TV and minibar. In town, close by Fifth Avenue, is the Royal Playa del Carmen, which is a recent, no expenses spared redevelopment of the previous Royal Porto Real. This distinctive, high range resort has an impressive array of luxury guest suites, most with ocean views. Every suite incorporates a TV, Jacuzzi, minibar, and 24/7 room service. The Royal includes in its rates three full meals per day, unlimited drinks, plus access to the resort’s luxury spa, fitness center, sports facilities, as well as a variety of daytime and evening entertainments. There is no shortage of hotels and accommodations, small and large, in Playa del Carmen. Some other highly recommended ones are the El Dorado Maroma, the Maya Villa Condo, the Grand Velas All Suites & Spa Resort, and the Hotel Aventura Mexicana. When you go to Playa del Carmen for a vacation you may choose a homely old-fashioned hotel or one of the more plush modern resorts on the beachfront, but wherever you decide to stay Playa is sure not to disappoint. This vibrant Caribbean resort is brimming with atmosphere and Playa del Carmen all inclusive resorts may be some of the best anywhere along the Riviera Maya. Need a break in one of Playa del Carmen all in one resorts? Chill and relax, suite yourself in Viva Wyndham Maya. Viva Wyndham Maya is one of the many all inclusive resorts in Playa Del Carmen that you will enjoy and truly have fun with. Experience all the exciting possibilities in Playa Del Carmen resorts and begin all your fun in Viva Wyndham Maya. All food, drinks, taxes and tips are included. You will truly enjoy the empting array of cuisines in a variety of beautiful settings. Experience free group diving, tennis, windsurfing, kayaking and sailing lessons, all of these only here in Viva Wyndham Maya. Aside from that, Viva Wyndham Maya resort is just two miles away, for enchanting shopping, swimming and nightlife. Get all your bags ready and experience an everlasting fun even just for a day or two, call now at 877-999-3223 for reservations or visit the website at www.wyndham.com. Come and see the beauty of Hacienda Tres Rios Resort Spa & Nature Park. Hacienda Tres Rios Resort Spa & Nature Park is one of the most sought after Playa del Carmen resorts. It is situated in a 326-acre pristine nature park near Playa del Carmen. Create a truly unique experience whereby you can endlessly enjoy warm hospitality and luxurious room accommodations, exclusive use of the Tres Ríos Nature Park, and an incredible gourmet experience. 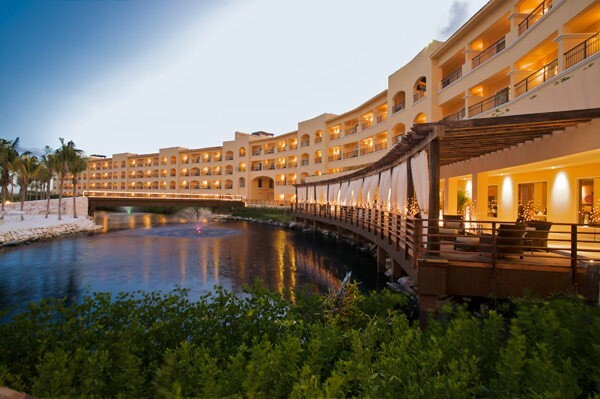 Hotel Rui Palace Mexico is one of the many beautiful all inclusive resorts in Playa del Carmen. This is a fabulous beachfront property located in Playa del Carmen resorts area. All inclusive resorts in Playa del Carmen is proud to give way to Hotel Rui Palace Mexico, whereby you will enjoy the all-inclusive property meals and beverages at on-site restaurants and bars, taxes, and gratuities are included in room rates. 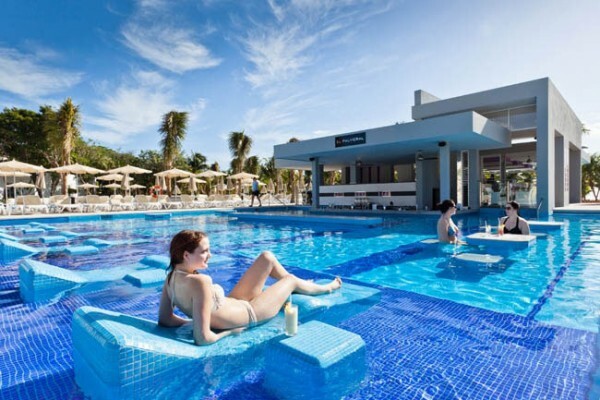 This all inclusive resort has tennis courts, an outdoor pool, a spa tub, a sauna, a fitness facility and many more. Riu Palace Mexico is one of the many known all Inclusive resorts in Playa del Carmen that also has a restaurant, a bar/lounge, and a poolside bar which has a 24hour service available. So call now and make your reservations. This is a perfect place to celebrate honeymoon, and other romantic occasions. Contact number is +52 984 877 4200 or visit the website at www.riu.com.